Laura Mercier is quickly becoming one of my favorite brands for face products. Being very fair, it is often hard to find a great match. 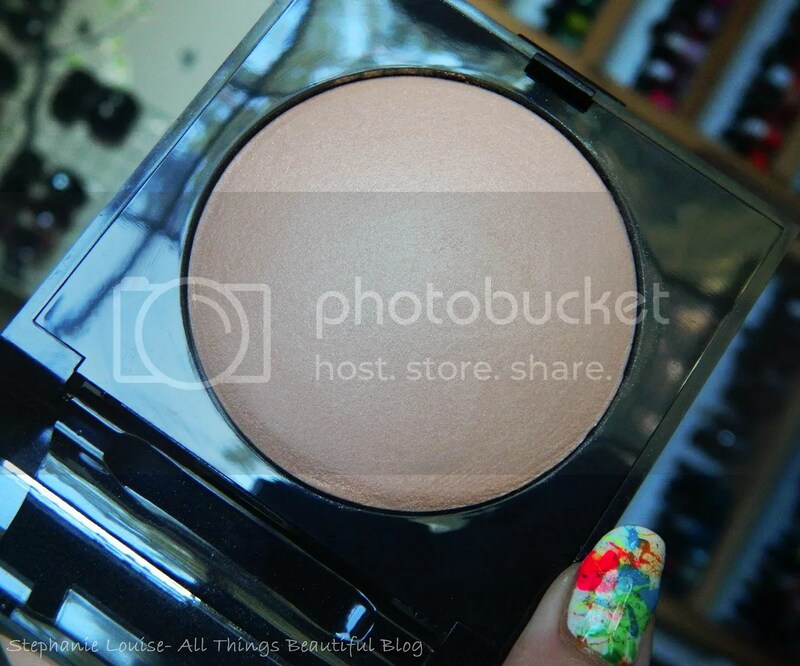 Recently Laura Mercier debuted their beautiful Matte Radiance Baked Powders. I currently own 2 & am so impressed that I split them up to share. Today, the gorgeous highlight that I just can’t get enough of. From Laura Mercier: An ultra-smooth baked formula that provides natural colour with soft matte radiance to the skin for a “bonne mine” healthy glow. Bronze shades give skin a soft matte finish and a hint of warmth. 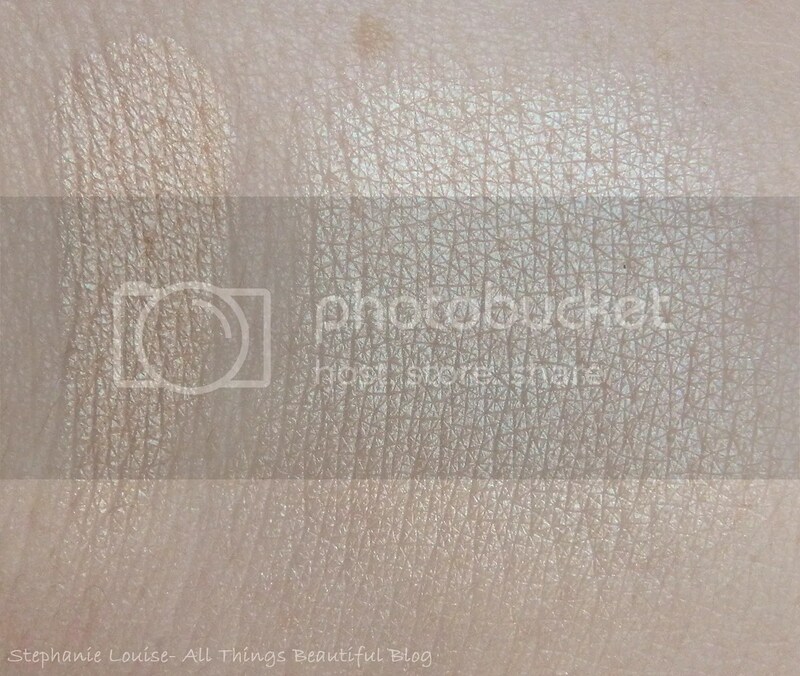 So, the description throws me a bit because this definitely isn’t a matte highlight. 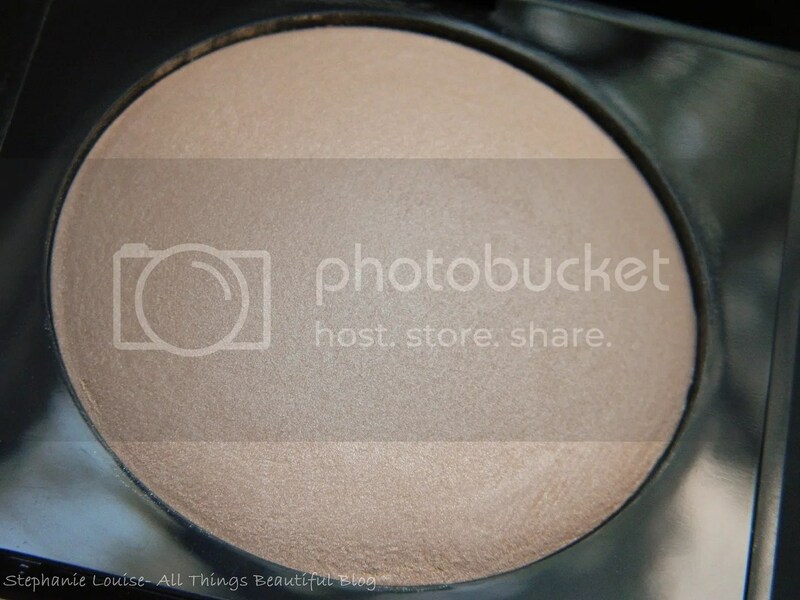 Instead I find it is a gorgeous slightly peachy champagne shade baked with a gorgeous, buildable glow. You can easily go heavy handed or natural. I love highlighters so it isn’t a surprise this shade speaks to me. Even, absolutely velvet smooth, & will last you ages. For an even, healthy glow this is the perfect choice. With jojoba oil you might think this doesn’t wear well when in fact it wears wonderfully. Completely even throughout the day & I think it helps with the moisture so that it doesn’t ever look chalky. Very little fallout, not drying, & fragrance free it is a great pick. I can imagine this looking beautiful on any skin tone.